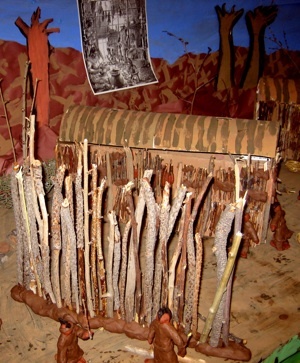 Overview: The people of the longhouse are members of the Haudenosaunee League (also know as Iroqouis). Their league has been dated back to the year 1142. The Haudenosaunee are the second oldest, continuously existing, representative government on the planet. 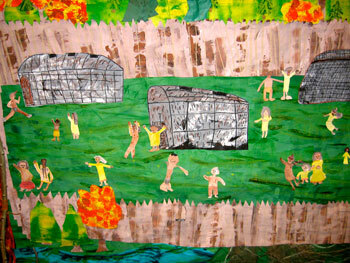 Research shows that Haudenosaunee influenced the foundation of the United States government. 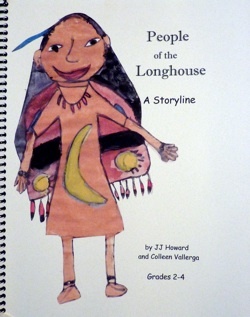 The People of the Longhouse Storyline is an historical study of this Native American nation. 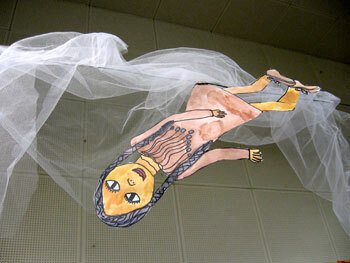 In the Storyline, students begin with the story of how the land and living things came to be as explained in the story of Skywoman. 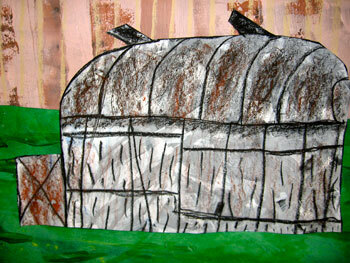 Students are grouped into clans and longhouses and take on a role in their family. They live through the cycle of seasons, learn the way of life and celebrations for their nation. When spring arrives, so do squabbles among the neighboring nations. 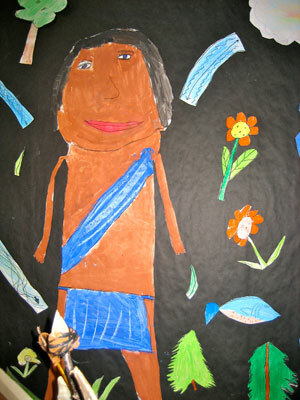 In the summer, a new way of life, the Great Peace, is introduced by the Great Peace Maker and Hiawatha. The nations eventually agree and join together to become The People of the Longhouse, five Nations united by a common government. 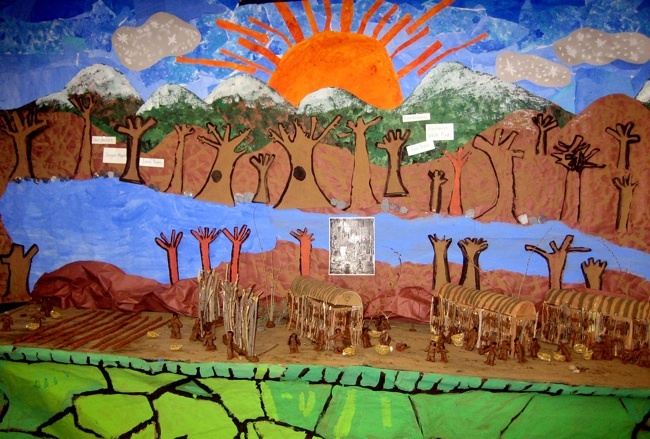 The topic was originally written for five classrooms, but directions are included for adapting the study to one classroom. 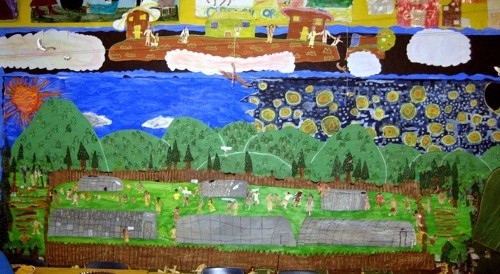 A frieze from People of the Longhouse. Common Core Standards are identified in each episode. Storyline® is a registered trademark of Storyline Design.